Kevin began his financial services career in 1999 when he joined Mike at PaineWebber. In 2004 he resigned when MP Wealth Management Group LLC (Wealth Management Group) was formed, an independent financial services practice that is a branch office of LPL Financial, the largest independent broker dealer in the country (as reported in Financial Planning magazine, June 1996-2017, based on total revenues). Kevin has earned the Accredited Investment Fiduciary Analyst™, (AIFA®) professional designation. The certification is administered by the Center for Fiduciary Studies, LLC (a Fiduciary 360 (fi360) company). Those holding the AIFA designation have advanced knowledge of fiduciary standards of care, their application to the investment management process and procedures for assessing conformance by third parties to fiduciary standards. 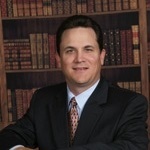 Kevin is also the holder of the Certified Divorce Financial Analyst (CDFA™) credentials; a specialized educational program in professional financial divorce planning. Kevin holds the Certified Investment Management Analyst℠ (CIMA®) designation, administered by Investments & Wealth Institute and taught in conjunction with The Wharton School, University of Pennsylvania. Degree: Bachelor of Business Administration, Sam Houston State University, 1991. He holds the series 7, 24, 31, 66 and (AP) Associated Person registrations through LPL Financial as well as his Life/Health insurance license. He is a member of Investments & Wealth Institute, The Institute for Divorce Financial Analysts and The Collaborative Law Institute of Texas. Fiduciary Studies, a division of Fiduciary 360. Investments & Wealth Institute is the owner of the certification mark "CIMA®", the service marks "Certified Investment Management Analyst℠", "Investment Management Consultants Association℠",and "IMCA."